ProVia storm windows are considered some of the best in the industry for their durability and overall design. The company offers 4 unique storm window options, including the Town And Country double hung vinyl storm, the Valley Forge 2 and 3 lite aluminum storms, the Concord double hung aluminum storm, and the Clinton aluminum picture window storm option. The company offers their storm windows in 13 standard colors, as well as 3 premium color options that will take an additional 2 weeks to order. Check out our best storm windows to see our recommendations. ProVia storm windows prices should run $20 to $35 per sq. ft. for the product itself, depending on the model you select and the type of glass you request. Standard window installation on storm windows should be less than replacements and we estimate a cost of $25 to $75 per opening. Compare ProVia storm windows to Indow window cost and Larsen storm windows prices. 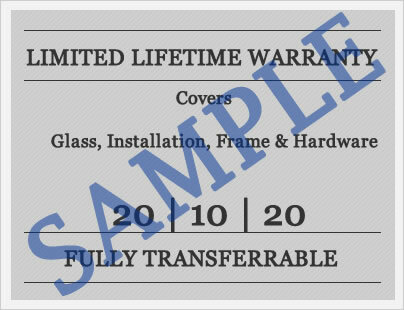 The ProVia window warranty covers the frames for the lifetime of the original purchaser. This includes the exterior finish on the frame, the retractable screen (the DuraGuard screen is warrantied for 15 years), the glass (as long as it is deemed to be caused by a manufacturing defect). The hardware is warrantied for just 1 year from the original purchase date. The warranty is transferrable to one additional owner, but the company must be notified in writing of the transfer within 30 days. The warranty terms are significantly less for "coastal areas" so please refer to their website if this is the case. There are a number of limitations and exclusions so consumers should read the warranty itself for more specifics. Do you own ProVia storms windows and want to add your review to the site? If you'd like to receive more information from our website editors on the strength, durability and options available with these storm window, please contact us. Want to add your ProVia Storm window reviews to our site? Help other consumers decide if these exterior storm window options are right for their next project.